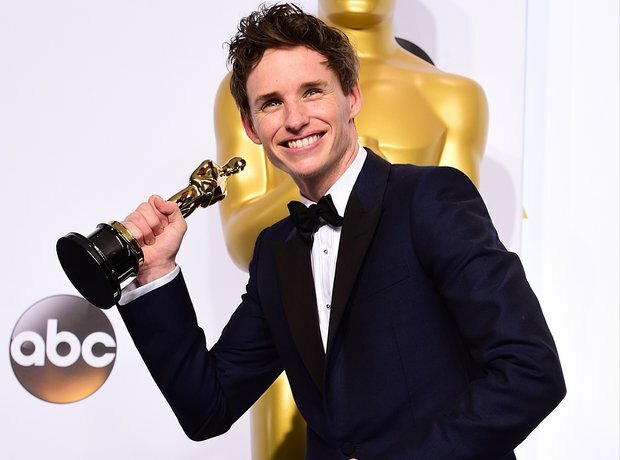 Eddie Redmayne picks up the Best Actor Oscar at the 87th Academy Awards after going head to head with Benedict Cumberbatch, Steve Carrell, Bradley Cooper and Michael Keaton. .JK. Simmons, Patricia Arquette, Julianne Moore and Eddie Redmayne with their Oscars.